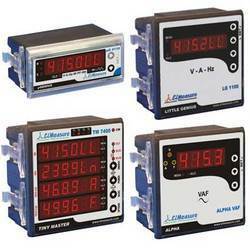 Ampere Trading Company is an authorized dealer of Digital Multifunctional Meters introduced by Elecon Measurements Pvt. Ltd. Rishabh Instruments Pvt. Ltd. & Circutor, These Digital Multifunctional Meters & Panel Meters are provided in distinct models depending upon customer’s choice and requirement. Our company presents you the meters in advanced features that make them perfect for your requirements. There is no need to have special training to operate them, as they are easy to use and install at your preferred place and also require minimum maintenance. Renowned Trading company, ’Ampere Trading Company’ is well known as a professionally managed importer, supplier and Dealer of Industrial Electrical, Electronics and Automation Products. The company established in 2009 to provide high end quality products in Energy Management Solutions. The company derives its strength in lasting customer relationship by providing qualitative and timely support, pre and post sales. We are partnering with fast growing companies that offer the best branded technological products in India. Ampere Trading Company has tie up with several well known brands like Elecon Measurements Pvt. Ltd., Rishabh Instruments Pvt Ltd, Alan Electronics, Deepsea, Pfannenberg, SACO Controls and many more. All the products are provided at market competitive prices that suit to all kinds of clients’ budget.